* Rexford Industrial Realty Inc. bought a fully triple-net-leased, single-tenant industrial property in San Diego for roughly $15.6 million. The distribution facility, 9190 Activity Road, encompasses 83,500 square feet on 6.24 acres. The company financed the acquisition with cash on hand. * Wheeler Real Estate Investment Trust Inc. completed the purchase of the single-story Village of Martinsville grocery-anchored shopping center in Henry County, Va., for roughly $23.5 million. The 97%-occupied property contains 297,950 rentable square feet and is anchored by five property retailers. * CBL & Associates Properties Inc. wrapped up the sale of three Tier 3 enclosed malls to Hull Property Group for approximately $32.3 million. The portfolio includes Randolph Mall in Asheboro, N.C.; Regency Mall in Racine, Wis.; and Walnut Square in Dalton, Ga. The company used the net proceeds to reduce outstanding balances on its lines of credit. 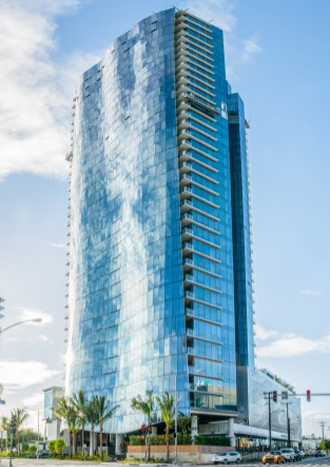 * Howard Hughes Corp. opened the Waiea mixed-use residential tower, part of its 60-acre master-planned Ward Village community in Honolulu. The community currently includes three additional mixed-use residential towers under construction, namely Anaha, Ae'o and Ke Kilohana. The company noted that the community has contracted to sell over 1,100 homes to date, adding that it will offer more than 4,000 new residences upon completion. * Private equity firm Antares Capital inked a lease for 55,000 square feet of office space at Vornado Realty Trust and SL Green Realty Corp.'s 280 Park Ave. in Manhattan, N.Y., for 12 years, Crain's New York Business reported. According to the report, Antares will relocate to its new New York headquarters from nearby 299 Park Ave. in 2017. * Terreno Realty Corp. purchased an industrial property containing about 65,000 square feet on roughly 2.7 acres in Miami for approximately $6.3 million. The property, located at 7120 NW 74th Ave., is fully leased to two tenants. It offers 10 dock-high and two grade-level loading positions and parking for 60 cars. 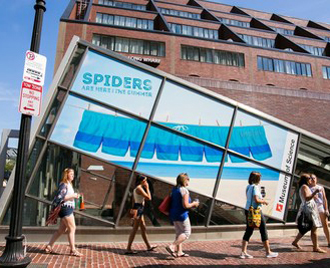 * OUTFRONT Media Inc. said its ON Smart Media Liveboards will start to roll out in Boston in January 2017. According to the company, the move is part of a significant deployment throughout the system of the Massachusetts Bay Transportation Authority, its newest partner. The company added that it completed the installation of ON Smart Liveboards across 24 additional rail stations in the Washington Metropolitan Area Transit Authority's metro rail system in Washington, D.C.
* Partners Real Estate Investment Trust sold its Washington Park retail strip center in Courtenay, British Columbia, to Choice Properties Real Estate Investment Trust for C$12.8 million in a deal expected to close Dec. 22. The property is composed of two buildings that comprise 32,652 square feet. American Tower JV to acquire French wireless tower operator: The deal is expected to be completed during the first quarter of 2017. American Finance Trust reaches $148M deal for 3 Merrill Lynch assets: The company agreed to sell the assets to a Texas-headquartered institutional real estate investment firm with a focus on office, retail and industrial properties. ICE signs contract at GEO Group's Folkston, Ga., facility: The company expects to pull in roughly $21 million in incremental annualized revenues from the new contract.